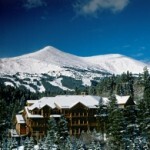 Discover the best lodging in Breckenridge, CO with this selection of the best Breckenridge lodging. Get reviews and info about the Lodge at Breckenridge, Colorado. Find out why this Breckenridge hotel has become one of the best places to stay in Breckenridge, CO.
Get details on the Mountain Thunder Lodge in Breckenridge, Colorado and see why it’s rated one of the best places to stay in Breckenridge, CO. If you’re looking for condos or Breckenridge lodging, then check out the Mountain Thunder Lodge! Get info and reviews for The Village at Breckenridge and see why it’s one of the best places to stay in Breckenridge, Colorado. If you’re looking for a hotel, condo, or other Breckenridge lodging, then check out The Village at Breckenridge, CO.